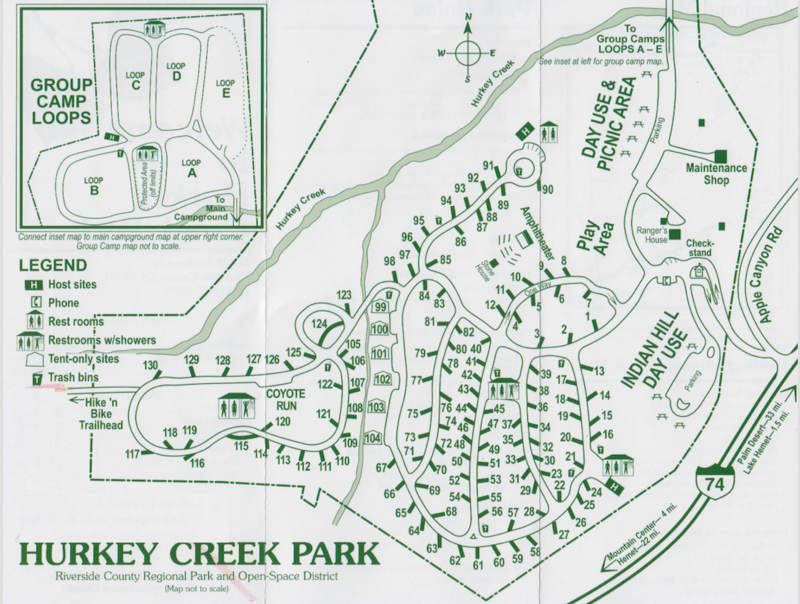 Hurkey Creek Campground has 130 single-family campsites for tents, trailers and RVs set among a forest or large pine trees. 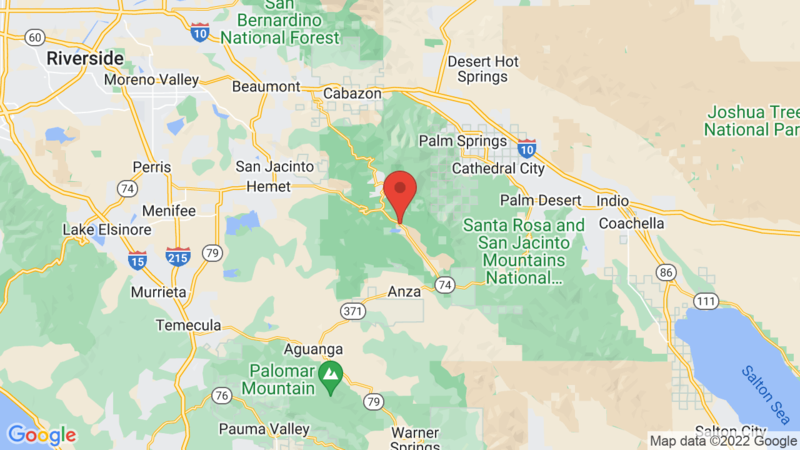 The campground is located in the San Jacinto Mountains about also about 8 miles from the town of Idyllwild and a mile from Lake Hemet. The expansive Riverside County Park campground has flush toilets, hot showers, a playground and large picnic area. Each also campsite has a table, fire ring and grill. Our favorite Hurkey Creek campsites are: 8, 9, 10, 33, 48, 57, 59, 60, 61, 62, 64, 65, 67, 68, 69, 72, 81, 86, 87, 88, 89, 90, 92, 93, 94, 95, 96, 97, 98, 105, 106, 107, 108, 109, 110, 111, 116, 121, 128, 129 and 130. Outdoor recreation includes fishing and boating at nearby Lake Hemet, hiking, mountain biking, picnicking and horseback riding. Wildlife viewing is also pretty good here! Two other Riverside County Parks to consider include Lake Cahullia Recreation Area and Idyllwild Park. Visted Hurkey Creek Campground lately? We'd love to hear about your adventure. Did you find us useful? Did we forget something? Anything our community should know before heading out to Hurkey Creek? There is no Wifi and Hurkey Creek campground/park. Where is the dump station? Is there anywhere in the campground to fill my water tank? Hurkey Creek Campground does not have a dump station, but one is available at Lake Hemet, for a fee, about 1 mile away- east on Hwy. 74. How much are the showers? As CampsitePhotos.com is not associated with Hurkey Creek Campground (we provide the photos and additional info about the campground, including a link for reservations), we’re not quite sure how much it cost to take a shower. Usually it is around $1 for 3 minutes. May I ask which sites have water, so I know how far I have to haul it? have any hurkey creek camp sites reopened since the Fire?